It is 1991. Historians will recall this year as the year of impending collapse of the great Soviet Union. In this year, Rajiv Gandhi —former prime minister and the grandson of Nehru— is killed in an election campaign in India. It is the same year in which first election is held in the kingdom of Nepal (late) after almost 30 years. It probably is also the same year the United States has had a first deep look at Iraq and the Middle East. Historians forecast, this year will play a pivotal role in shaping the political and social fate of the 21st century. It is the same year but on a different note, with the expectation of the entire world on his shoulders, a man called Mark Ramprakash is playing his first test at Lords. Opponent is the great West Indies. Think of Marshall, Walsh, Ambrose, Richards and a young Brian Lara. England wins by 115 runs. Ramprakash makes 27 in both the innings. For a young man, total of 54 runs in a low scoring test match is a decent score but for Ramprakash, it is a failure. The year is same and now, he is playing second test match of the series. Match is drawn but he fails again with the score of mere 24. England sticks with him for rest of the series but he fails in living up to the expectations of English selectors. The series is drawn. 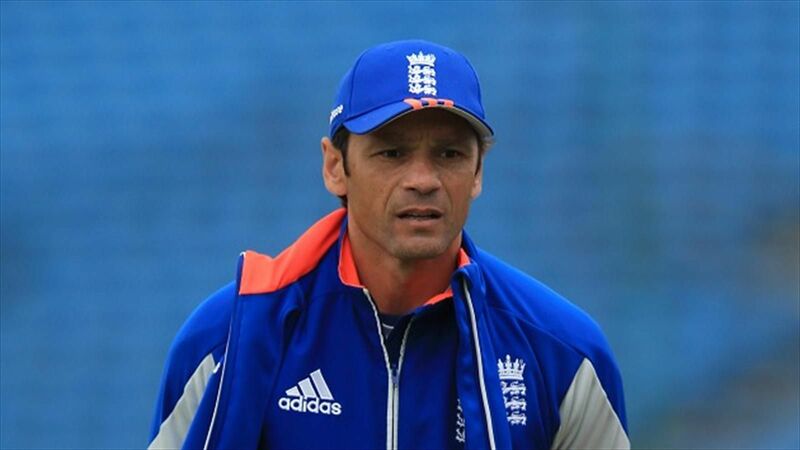 1991 is a year of disappointment for Ramprakash. It is 1992. Ramprakash is playing second test series of his life. Opponent is Pakistan. And, it’s the second big failure of his life, which means he has to wait one more year for the next test series. It is 1993. Finally, he gets a fifty against Australia, after almost two years of his test debut. For his inconsistency, he is in and out of the side. His superb performance at county cricket means, he is always in the eye of selectors. His failure in the international circuit means, selectors often rethink about their decision to stick with him. But, he is still a young man and still not out of the equation. It is 1998 and some good things happen in the life of Mark Ramprakash. And again, opponent is the West Indies. He finally makes a century. How many years does he wait for a test ton? Finally, it’s a break. Although the Match is drawn, Ramprakash is happy after almost seven years in exile; selectors are even happier. Unfortunately, happiness doesn’t last long. For several years, nothing substantial follows his gutsy ton. It is already the start of 21st century, and selectors think— Ramprakash is too old to be trusted. Just like a cruel beloved who never looks back at you once she no longer finds you fascinating, English selectors think, enough is enough and they never look back at him. It is 2003 — the same year he becomes the first player to score a first class century against all 18 county teams. And after almost 14 years since he played his last test, we look back at his cricketing career and say, a man called Mark Ramprakash was a terrific batsman. He was a superb timer of a cricket ball. He was one of the most competitive men you would ever see in a cricket field. Even in the slips, he was so reliable. Many considered him as the most talented English batsman of his generation; some of them even quoted him as the next big thing in world cricket. Espncricinfo.com has rated him as a batsman of rare talent, combining a classically English technique with an un-English intensity. His first classes records support the portal’s claim while his test records deny the affectionate praise. With 35,000+ first class runs, average of almost 54 and 114 hundreds, many would have wanted him to see as the next Gooch, Ponting, Tendulkar or even Hobbs. At least people have wanted to see him in the regular playing eleven of the English side. Unfortunately, he became an epitome of talent unfulfilled — a hero who never flaunted his heroism at the stage where it mattered the most. For years, he stood out as the greatest domestic level talent of his generation but never transformed his talent into the stage beyond his backyard. Strange coincidence is that he shared his test debut with Graeme Hick — who in-fact was another Ramprakash in making. He made 2350 runs in 52 test matches with an average of 27 — the same pair of scores he got in his debut test. His test average is that of a genuine quick bowler who can occasionally bat not that of a person who has hundred hundreds in first class cricket with a staggering average of almost 54. Considering the work load of the modern day cricketers, he could well become the last man to get to hundred first class hundreds. A failure is an accident. At times, a failure is just being unfortunate. A failure story is a great story because most of the times, it teaches us things that success stories fail in teaching. Of course, failure is a word to be understood relatively. Such is the fate of human race that people judge an athlete’s performance with the eyes of their expectations. Not all the great seeds grow into a giant tree. Not all healthy children grow into healthy adults. Not all Ramprakash become Sobers, Tendulkar, Lara or Hobbs. Who are we to judge someone with our pre-determinate eyes? It is not great to link the word “great” with the word “failure” but considering his international stats; it is my deepest regret to say that Mark Ramprakash is one of the greatest failure stories of all cricketing generations. It is the summer of 2016, the man has already retired from all forms of cricket and is thus out of the selector’s equation, and I believe— only few of us will deny this bitter statement. Civa was brought up in Chitwan, currently lives at Patan and has been following cricket since 2004. He believes that scene of a fast bowler (someone like Lilee, Holding, Steyn or Akhtar of 1999) running in and hitting the deck hard, is sheer poetry.